If you don't know what to do here you can leave it as is. Default settings are usually the better. You can choose how the user will give you the consent. On single consent In this way just when the user will accept the single treatment, the related blocked functionalities will be automatically enabled. On Scroll will grant the user to scroll the window to give you the consent. Remember that GDPR requires that the user should give the explicit consent and scroll would be considered as implicit consent. However if your site is not subject to GDPR rules, you can choose for this option. On click If user will click in any point of your page the blocked groups will be accepted in bundle. On consent This is the most restrictive mode, indeed the user must choose which groups to consent and, only after the confirm button click, the contents on the page will become available. Should the cookie be served before the approval? Both the EU Cooke Law and the GDPR rules recomends you to do not allow the profilation cookies to be wirtten in the user's browser. So It should be always Disabled. However if you have just technical cookies, well, you can mark it as Enabled. You can choose if the list of treatments in the dialog would be visible or not by default. Select an information to change for the banner. Here you can manage all treatments you have on your site. The simplest way to manage those informations is throug the function Create from template. So, if you don't know how to edit this, use that function. Remember that you can add multiple treatments using the plus button (+) on the right. This is the name of the treatment that the user will read when the consent dialog will be shown. Give to the user the right description about the treatment, the purpose of their consent and everything he need to know. If you want that a treatment is enabled by default, you can do it enabling this option. The text that you write is detected exactly as you have typed it. To be more clear, if you type lorem, EUCookieLaw will search in the attribute that you have configured for the exact keyword lorem. The ending dot (.) means everyting that starts with. To be more clear, if you type lorem., EUCookieLaw will search in the attribute that you have configured for something that starts with lorem (so lorem, lorem ipusm matches, but ipsum lorem will not). The starting dot (.) means everyting that ends with. To be more clear, if you type .lorem, EUCookieLaw will search in the attribute that you have configured for something that ends with lorem (so lorem, ipsum lorem matches, but lorem ipusm will not). Notes: EUCookieLaw will look for the keywords either in the content of the element. According to the Treatments rules, in this section you can select in which HTML nodes EUCookieLaw should search for elements that generates third party cookies (like IFRAME, SCRIPT and so on) or some other HTML that need user approval before its usage and determine if it need to be blocked. If EUCookieLaw recognizes a special keyword that needs to be blocked in the attribute you will specify below, it will change its value according to what is defined in the following table. Once the group will be approved, the attributes will be restored on its default status. If you need to watch for further items in the page, you can use this block. Paste the code previously generated with Configuration Builder to start from where you left. Select a template, then click Apply button. Note: all the settings previously defined for the requested group will be replaced. We have generated the code you can use in your site. If this builder saves you a lot of time and some stuffs, please considere to donate. Warning your configuration would not do anything. Please, check the Treatmens section. Note: Bootstrap and jQuery are not required by EUCookieLaw. To grant the better compatibility and the minor effort to you, the consent dialog is built using the Bootstrap 3.3.7 rules and the dialog close handler invokes the bootstrap modal function that requires jQuery and Bootrstrap JS Libraries. However, if you think you can do something great without Bootstrap, please do it and share with all us! 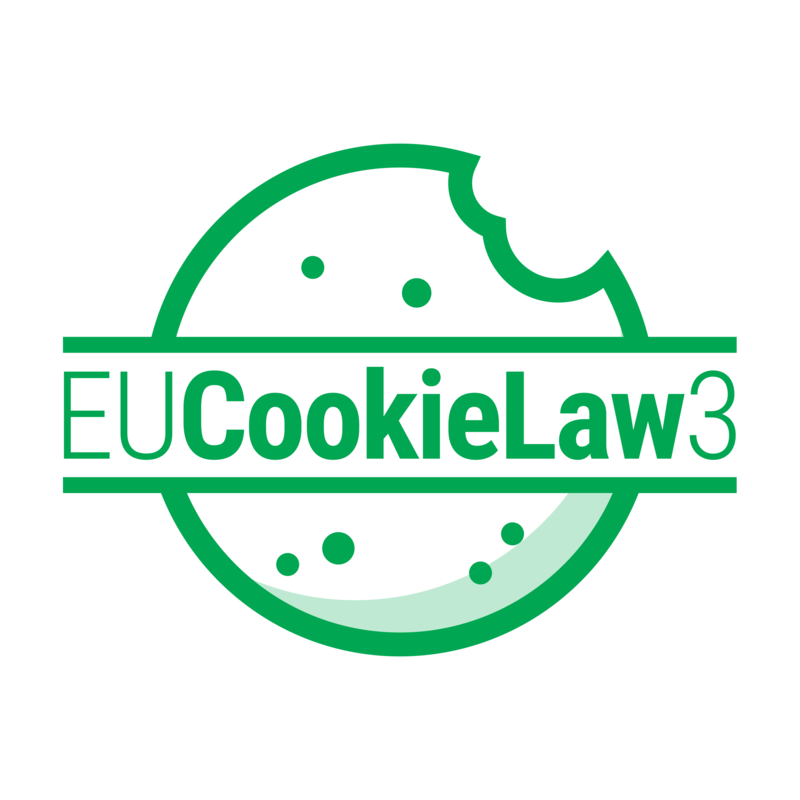 EUCookieLaw3 is an Open Source project. So no free support is guarantee. If you discover a bug into the builder, please send me an email, if you find a bug in EUCookieLaw3 script open an issue on official repository. If you need a techincal support to configure as well your copy of EUCookieLaw3, I'm available for hire. What is changed in Builder?